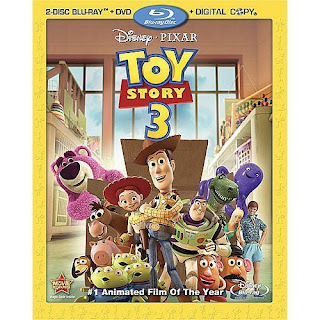 Toy Story 3 will be released on Blu-ray and DVD Nov 2. Online retailers have started listing the home entertainment release on their sites with multiple editions. So far there appears to be 3 versions on offer - a 1 Disc DVD, 2 Disc Blu-Ray and a 4 Disc Combo pack (2x Blu-Ray, 1x DVD and a Digital Copy). Disney is no stranger to marketing their movies like this and giving their consumers a variety of options to choose to take home. 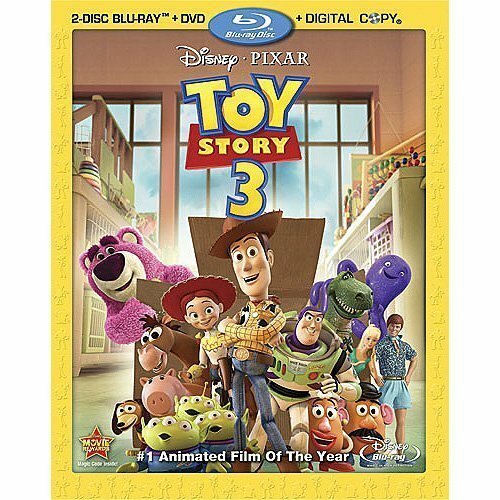 You have the standard DVD edition for the families, a blu-ray set for the early adopters (who revel in the special features) and the ultimate digital set for the people who can’t live without having Toy Story 3 with them at any time. These packs are all very well and good, but I can’t help but feel they emphasise the fact that Blu-ray hasn’t been the huge success it should have been. When DVD was released over 10 years ago they never put out VHS and DVD combo packs to help with the transitional period. Now Blu-ray and DVD packs are the norm, of course this actually shows good marketing and understanding of what customers wants. Most people will have many DVD players in their homes, with maybe one Blu-ray system. So a lot of families actually want the option to get both media types and Disney is providing this. Then you have the increasing popularity of downloadable content and portable devices, so the digital copy of the films needs to be included as well. Is this good or bad? 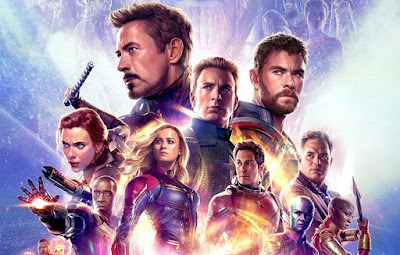 On one hand you are providing movies in all the different media types required but on the other you are no longer dedicating yourself to one format so additional content could suffer if spreading yourself too thin. What do you think? News just in – Toy Story 3 is now the highest grossing animated movie of all time with its current global Box Office standing at £920million.